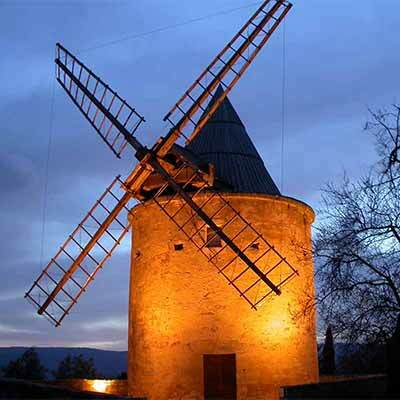 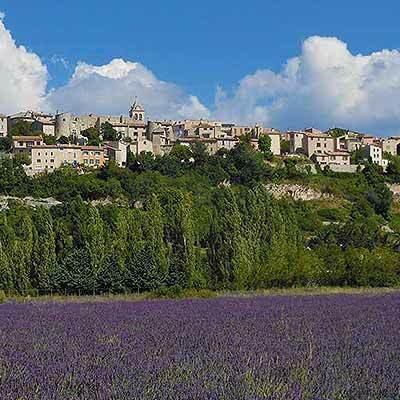 Horizon Provence invites you to stroll through Provence and discover the towns, villages and beautiful sites. 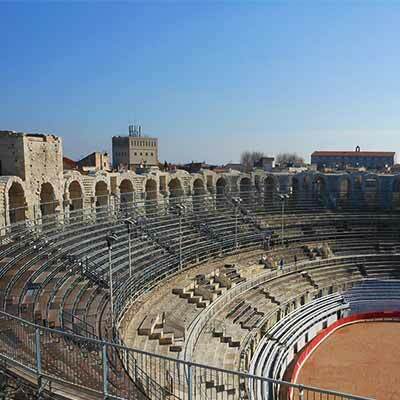 Take time to wander and explore a heritage and a unique history, take part in the rituals of daily life in the market place. 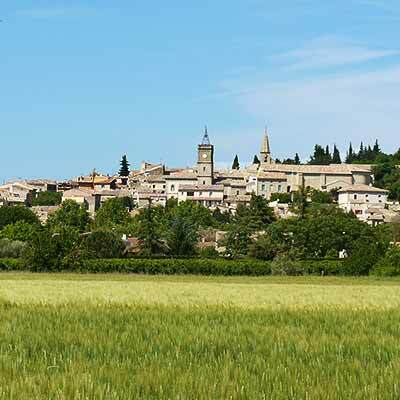 Each village has its own flavor, its very special athmosphere the rushed travelercan not really appreciate. 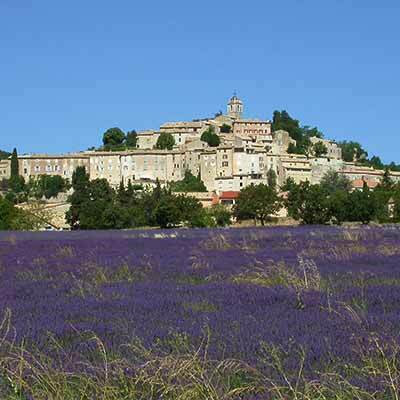 Enjoy your stroll in Provence. 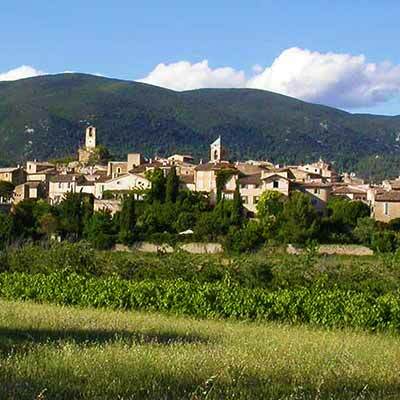 Lourmarin is on the southern side ofthe Luberon, its casle is considered as the most beautiful of the region. 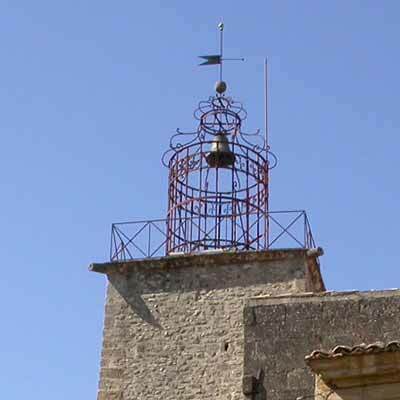 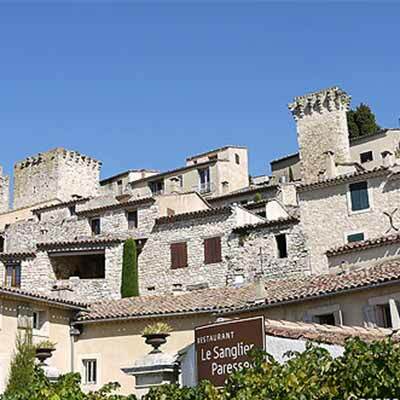 The perched village is one of the most famous of Provence, please discover it through this report. 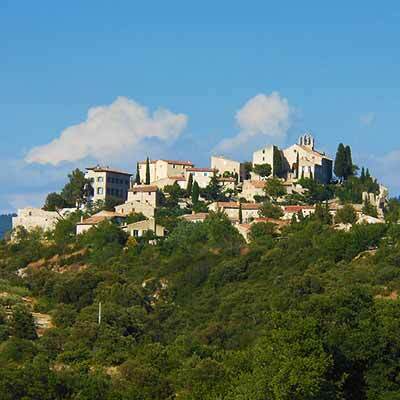 A picturesque and charming village in southern Luberon. 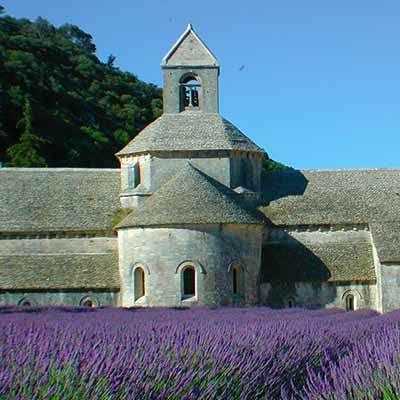 Near Gordes, Abbey Sénanque is a wonder of Romanesque art in Provence. 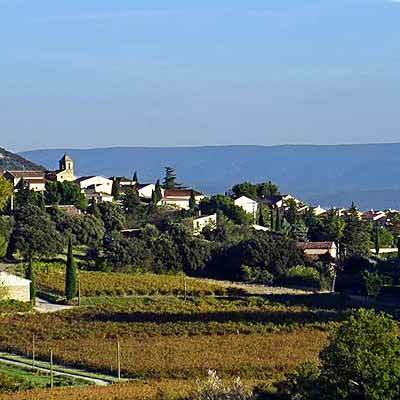 Goult is a discreet and charming village in the Luberon, built around its castle, he deserves to be discovered. 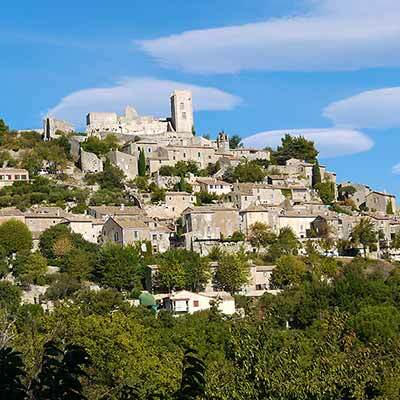 Lacoste is a beautiful Luberon village overlooked by the restored ruins of a castle where lived the Marquis De Sade. 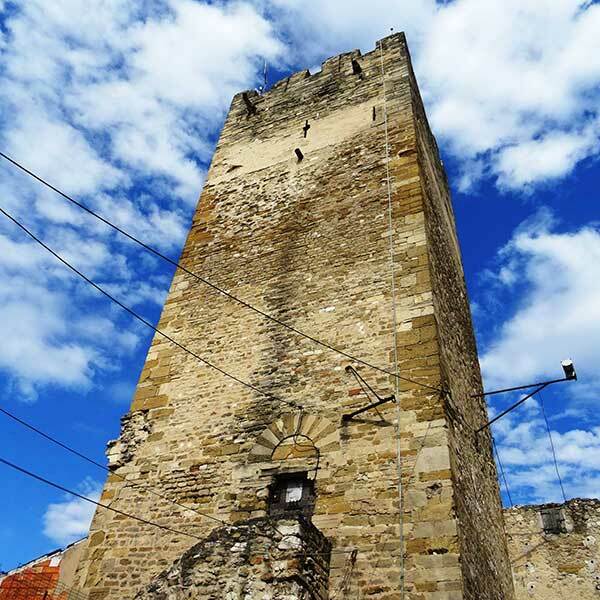 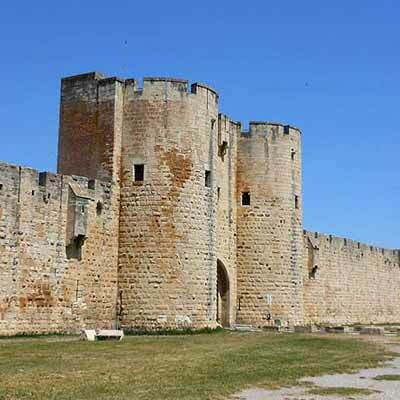 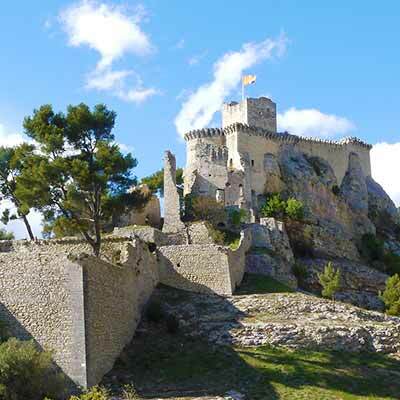 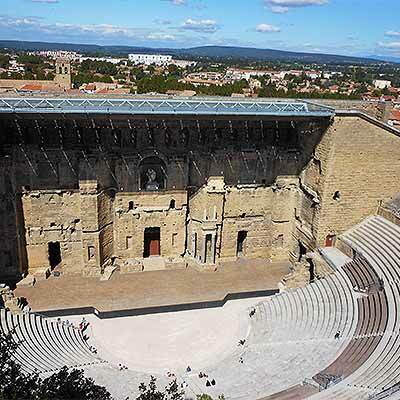 Capital of the Pays d'Aigues in Luberon, La Tour d'Aigues houses the ruins of a magnificent Renaissance castle. 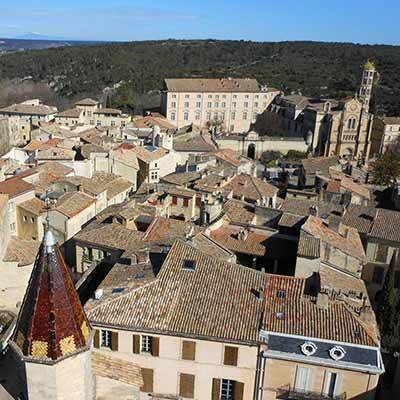 Discover the capital of the Luberon region and of the candied fruits. 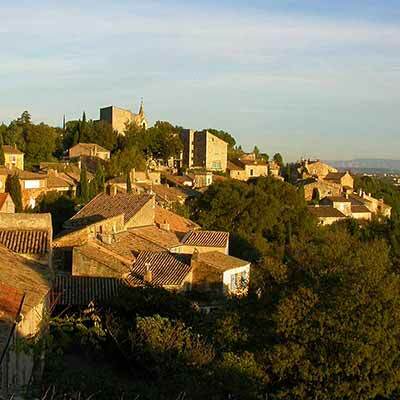 a picturesque perched village in the Luberon, near Apt . 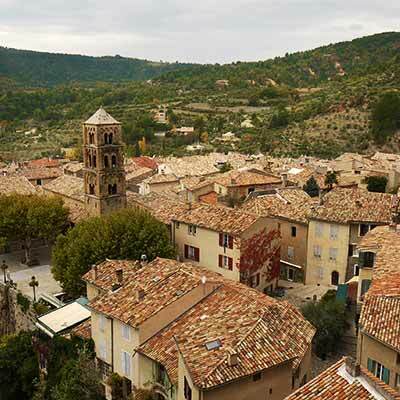 Murs is a picturesque village in the Luberon National Parc, near Gordes, Roussillon, and Venasque. 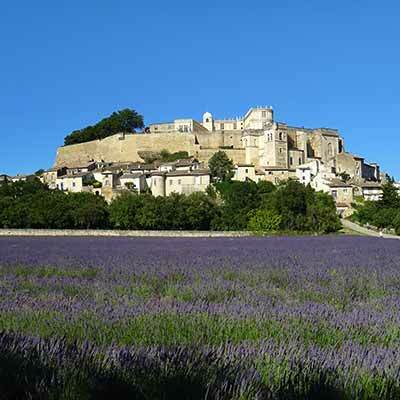 In the Alpilles, the castle of Les Baux de Provence is located in one of the most spectacular landscapes of Provence. 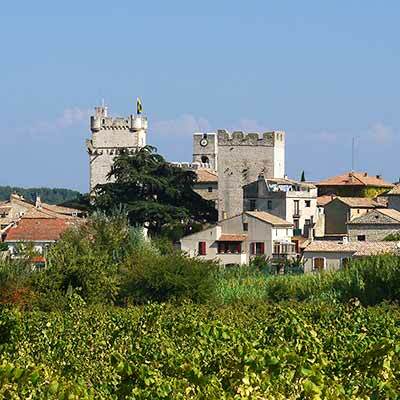 between Avignon and Tarascon, Boulbon nestles in front of the Rhône, at th e foot of the Montagnette hills. 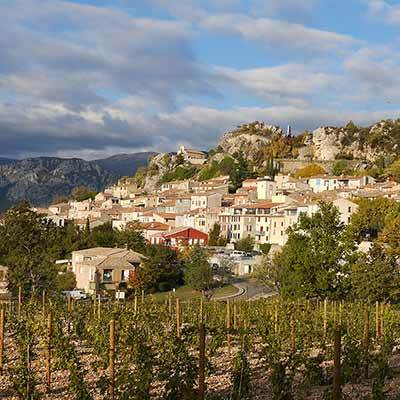 Eygalières is one of the prettiest village in the Alpilles mountains. 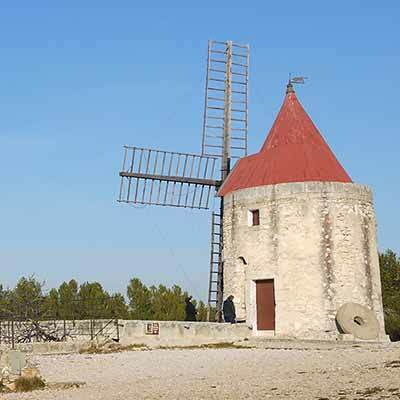 Between Arles and Les Baux de Provence, Fontvieille is the village of writer Alphonse Daudet "Letters from my mill". 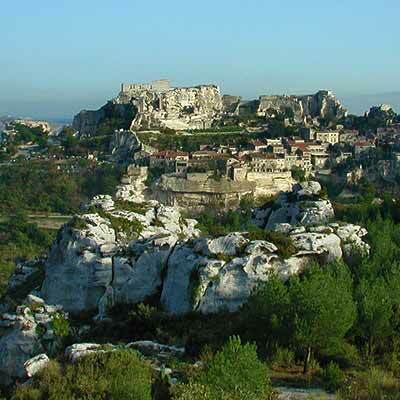 Saint-Rémy de Provence is the little capital of the Alpilles mountains. 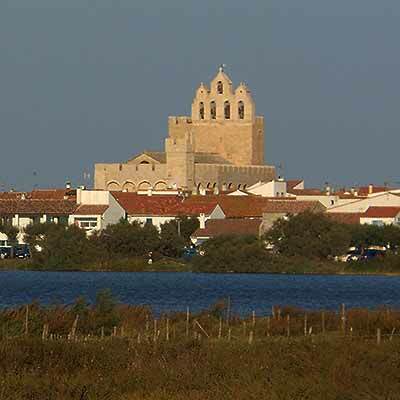 Seaside resort and cultural capital of Camargue. 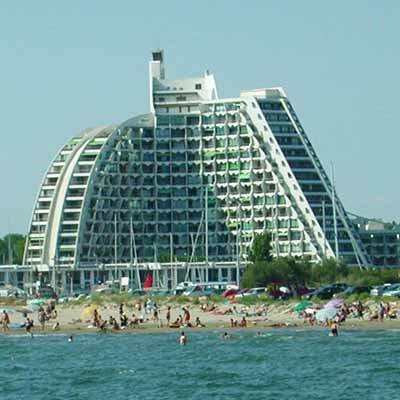 Resort on the coast of Camargue, designed by the architect Jean Balladur. 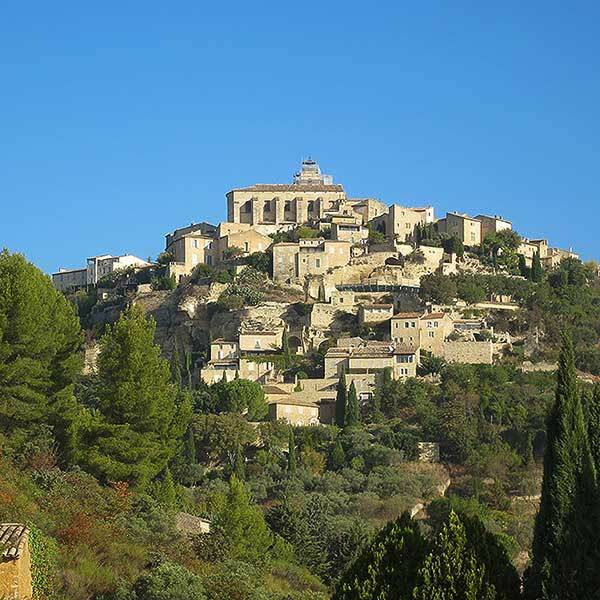 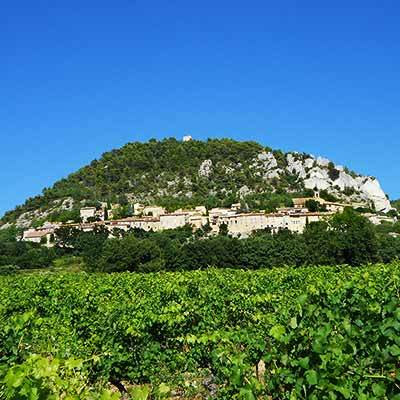 A quiet hilltop village and unfairly ignored in the Gard near Avignon. 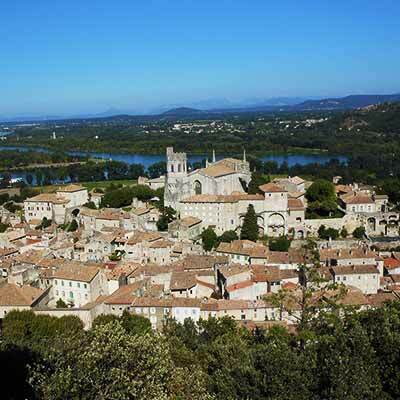 This small provençal town near Avignon was a busy port on the Rhone river. 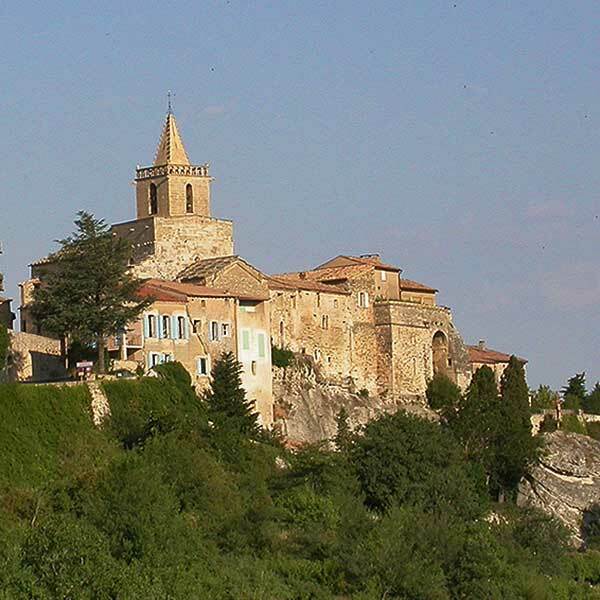 Pretty little town north of the Gard, between Gorges Ceze and Ardeche Gorges. 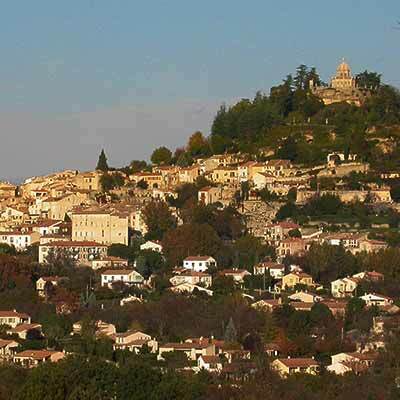 Pretty village in Provençal Gard with noteworthy medieval heritage. 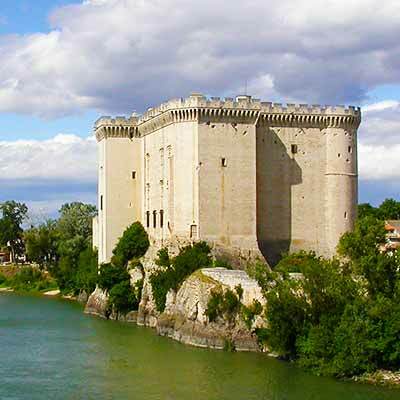 Facing Avignon, Villeneuve holds heritage treasures that deserve to cross the Rhone to be explored. 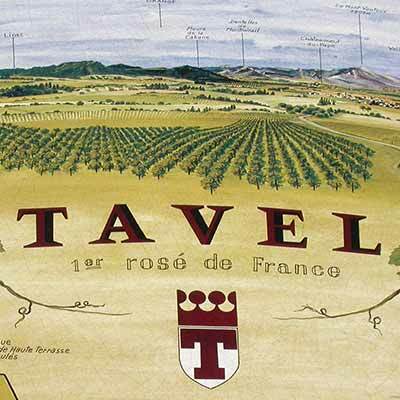 Tavel in the Rhone valley is famous for its wine Rose, the "first rosé of France". 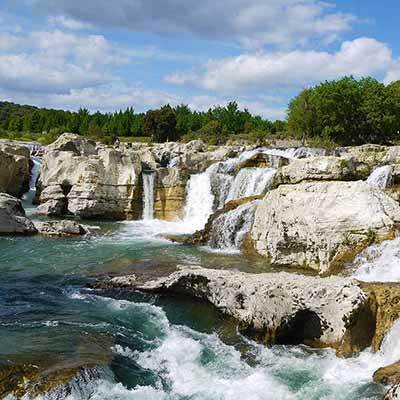 Waterfalls in an exceptionnal natural site and a great place for bathing at la Roque-sur-Cèze. 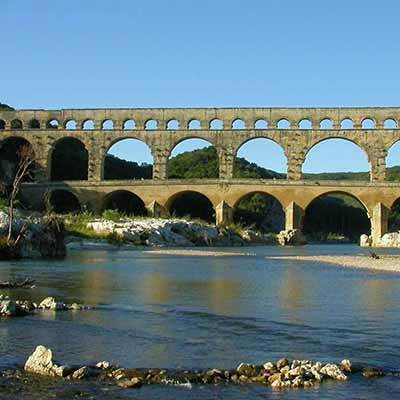 The aqueduct built by the Romans is a marvel of grace and engineering, and an icon of French heritage. 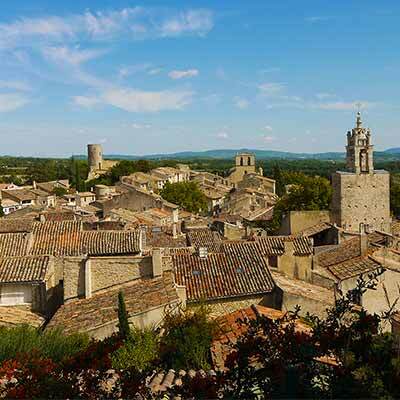 Near Uzes, Saint-Quentin picturesque little town where the tradition of ceramic art is well alive. 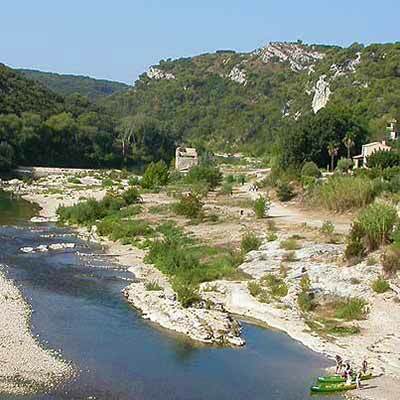 Near the Pont du Gard, in Collias you will enjoy the river and the Gorges du Gardon. 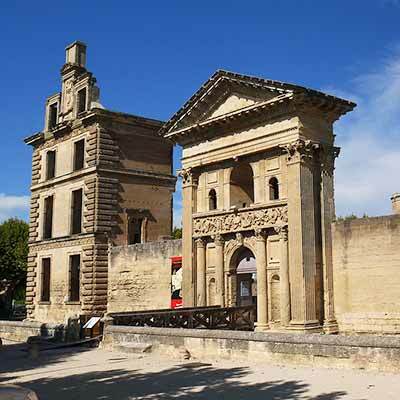 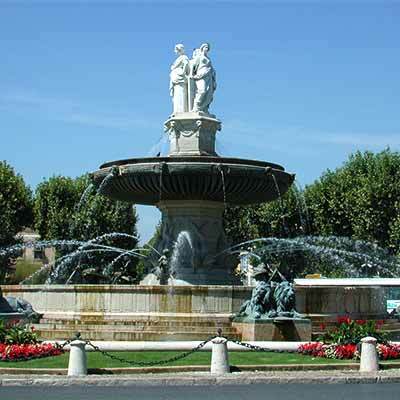 Uzès is the most charming city of the Provencal Gard, and its caste is the first "Duchy" of France. 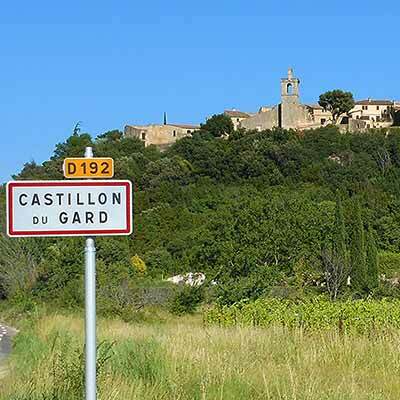 Around to the Pont du Gard, Castillon is one of the most beautiful medieval villages in the Gard. 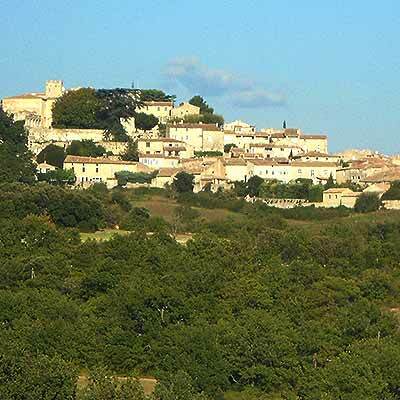 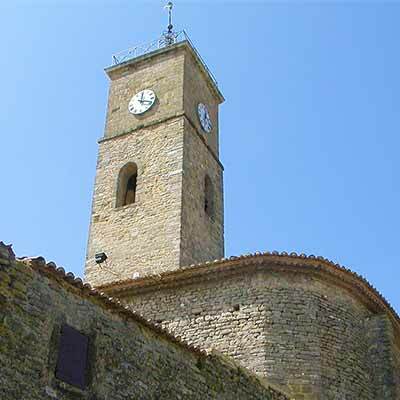 North of Uzes, Lussan is perched on a plateau, watching the surrounding country from its ramparts and castle. 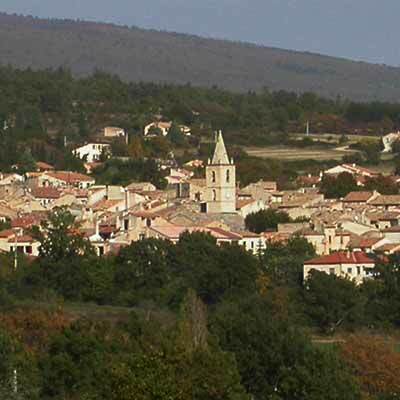 pretty village near Uzès in Provençal Gard. 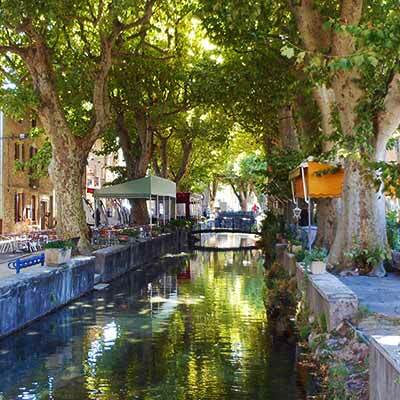 Let's discover this charming city on the Sorgue river, renown for its antiques dealers, its Provence markets, canals and its unique athmosphere. 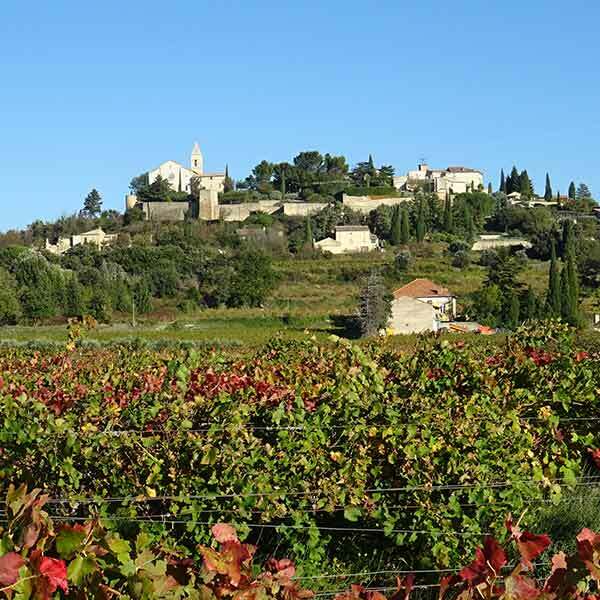 In Velleron stands daily one of the best market of Provence. 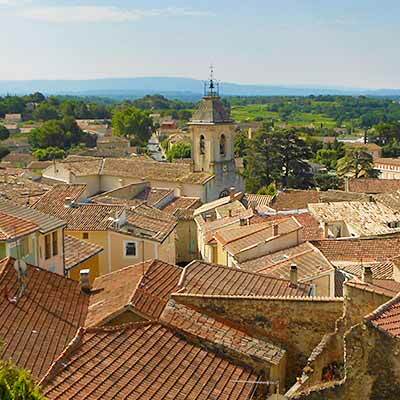 This little provençal town, former capital of the Comtat Venaissin, counts more than 100 fountains and great historic heritage. 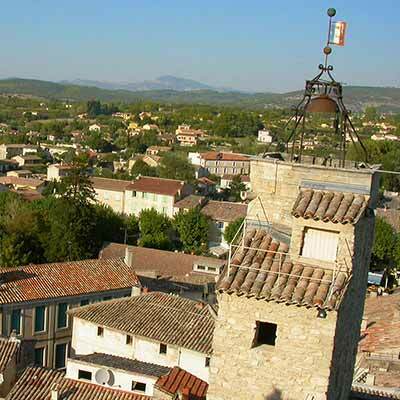 A pleasant village in Provence between Avignon and l'Isle sur la Sorgue, with a noteworthy natural and historic heritage. 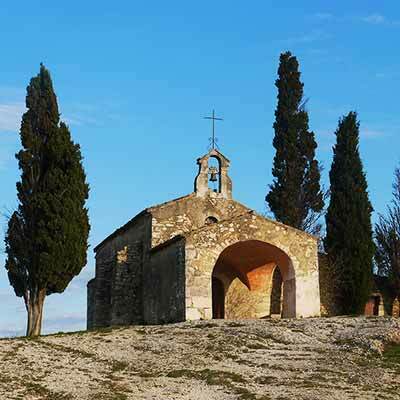 Discover the site of the most famous resurgence of the world, magnified by Petrarch in the 14th century. 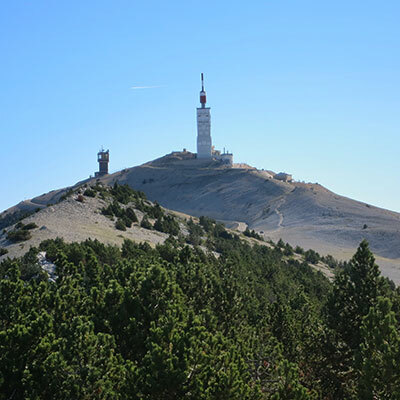 Discover the Mont Ventoux and the climb on bike by Bédoin to this legendary summit. 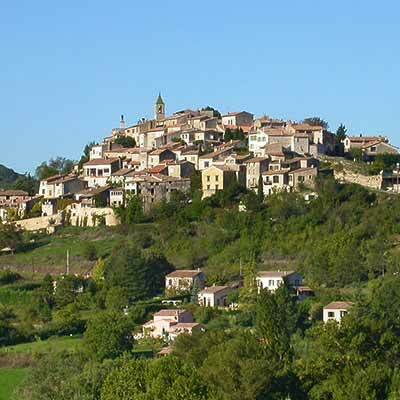 Bédoin village at the foothill of the Mont Ventoux, is well known to cyclists. 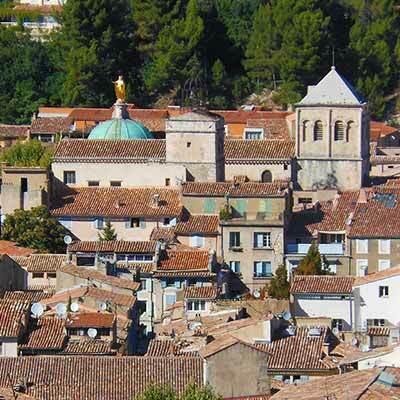 A pretty little provencal town in noth Vaucluse, at the foot of Mont Ventoux. 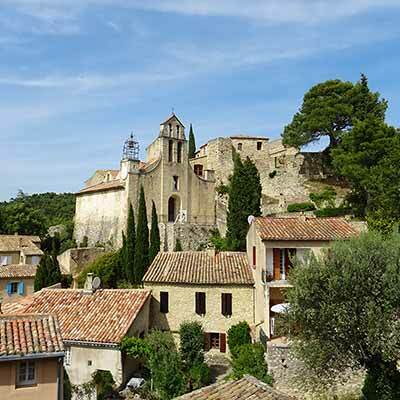 Discover Venasque, the first capital of the Comtat Vaucluse, ranked among the most beautiful villages in France. 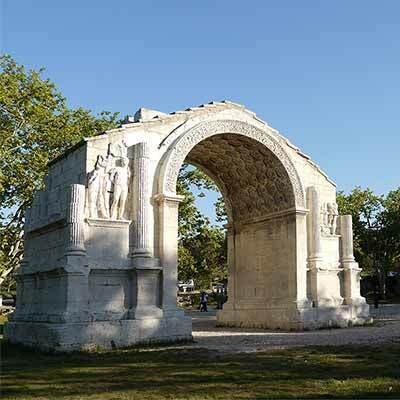 At the gate of Provence, Romans founded Orange and let a famous triomphal Arch and a splendid ancient theatre. 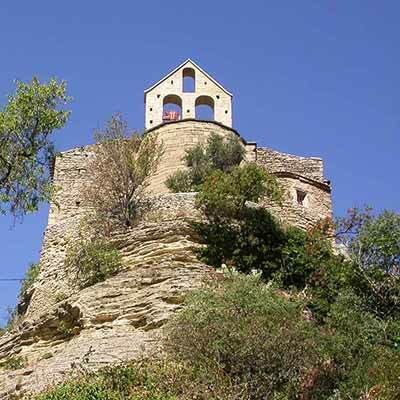 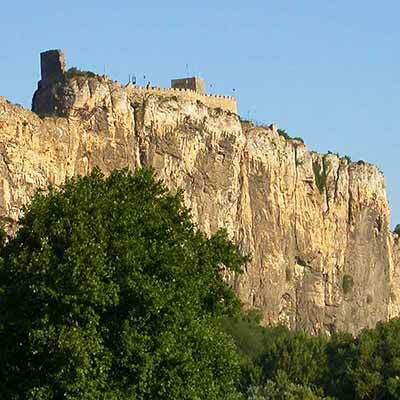 The medieval fortress Mornas monitors the Rhone Valley perched on a cliff at the impressive height. 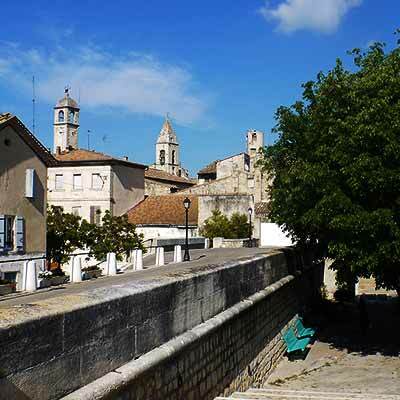 Between Avignon and l'Isle sur la Sorgue, a village in Provence, where still lives the cultural traditions of Provence. 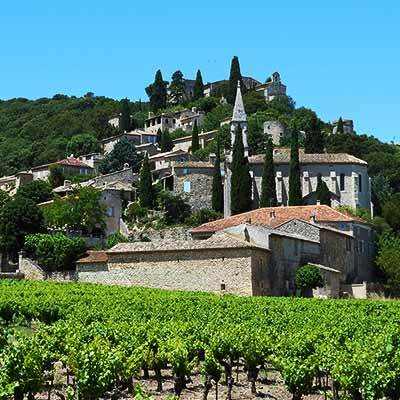 Gigondas is a reknowned wine name, it is also a pretty village in the Vaucluse. 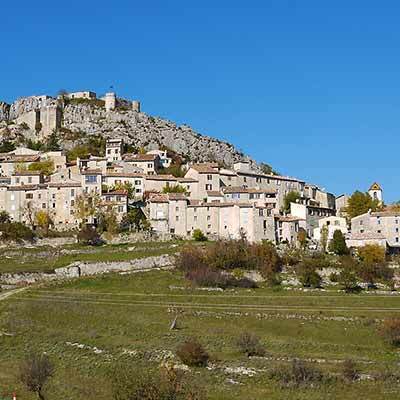 One of the most beautiful villages in France is located in the northern Vaucluse. 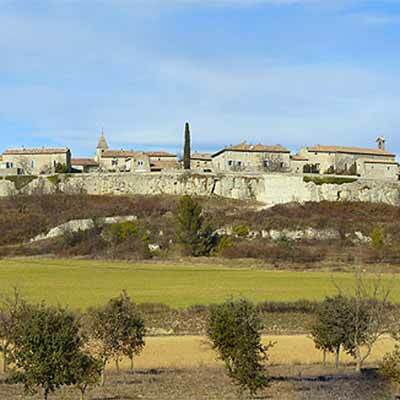 Vacqueyras in the Vaucluse is also the name of a famous wine of Cotes-du-Rhone. 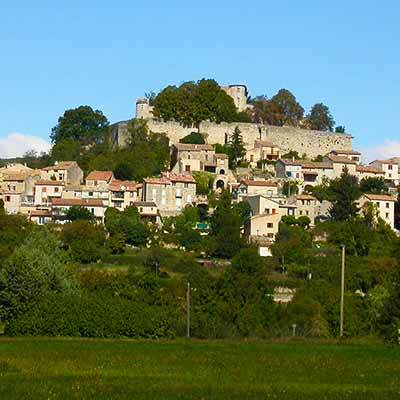 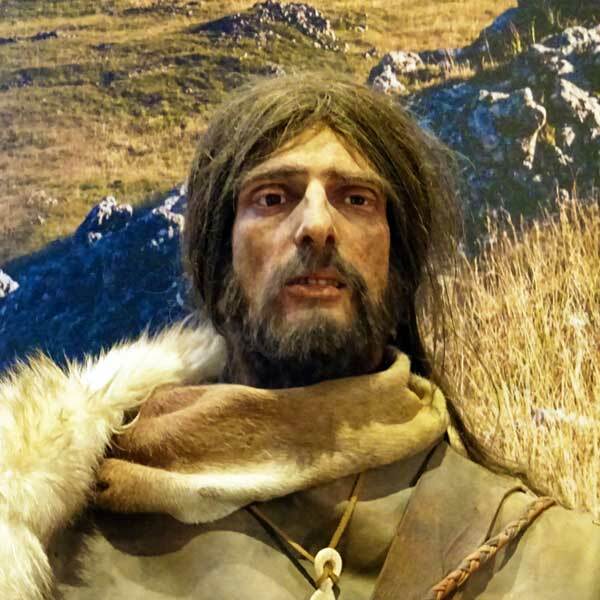 Forcalquier was the capital of a florishing earldom in the midle ages. 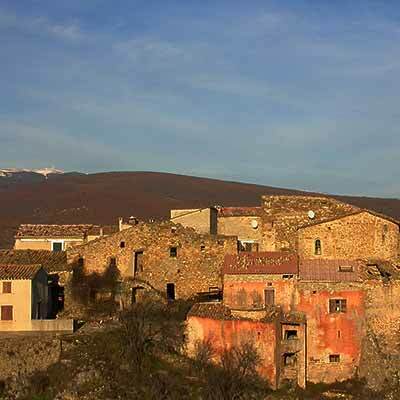 Discover the city and its surroundings. 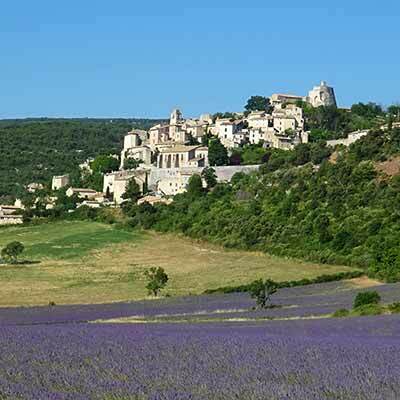 Simiane is a village of character crowned by the Rotonde and surrounded by fragrant lavender. 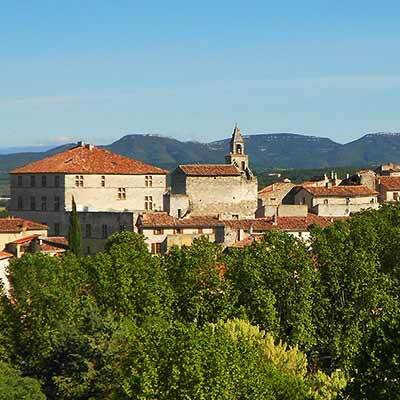 Between Forcalquier and Manosque, Dauphin is considered by many as one of the prettiest villages in Haute Provence. 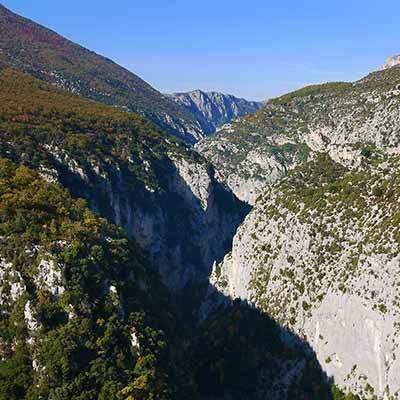 Gorges of Oppedette form a spectacular canyon carved by the Calavon river. 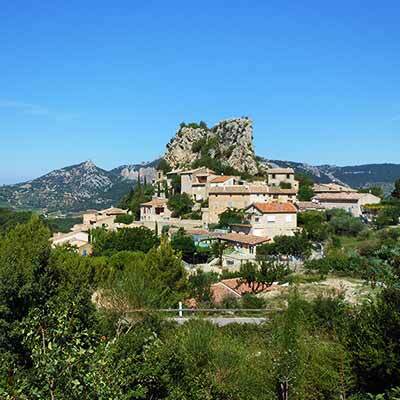 In Haute-Provence, The Rocher d'Ongles offers a picturesque view at the feet of the Lure mountain. 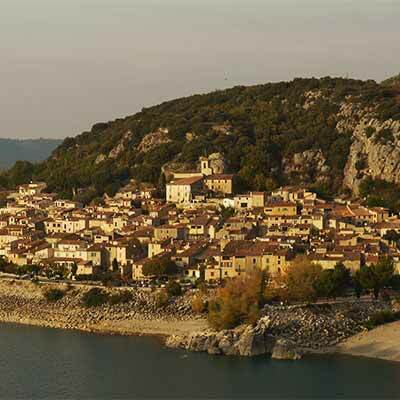 A provencal village coming right from a tale near the Gorge du Verdon and Lake Sainte Croix. 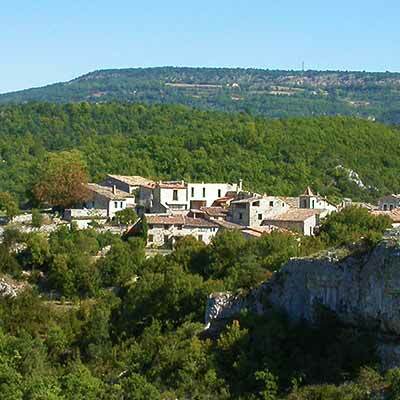 Village of Haute Provence on the anciant roman road Via Domitia. 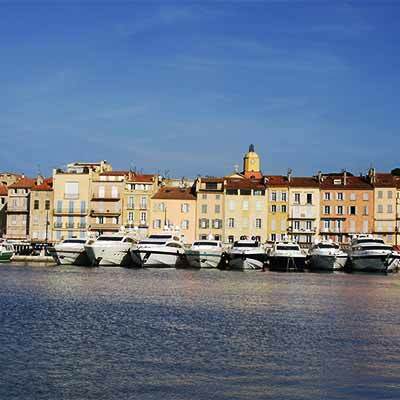 Saint-Tropez needs no introduction, but who really know this small Provençal town of the Côte d'Azur ? 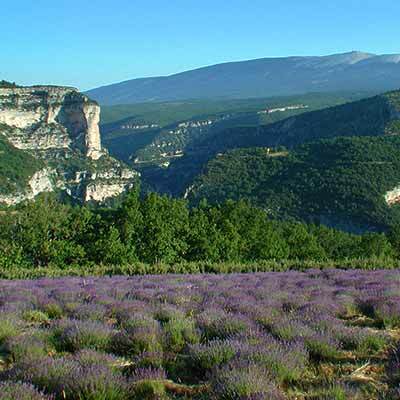 High Verdon Gorge is one of the most majestic natural sites in Europe. 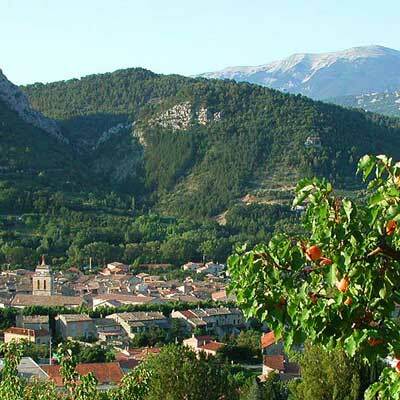 Bauduen-sur-Verdon is a pretty village on the shore of Lake St Croix. 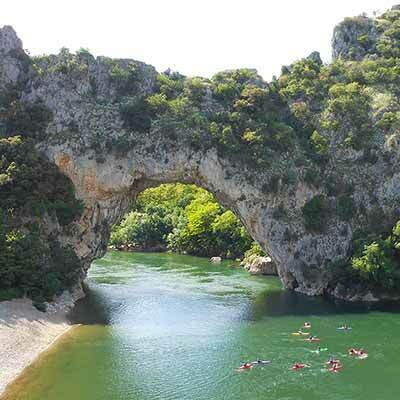 Aiguines overlooking Lake St. Croix, the door spectacular Gorges du Verdon. 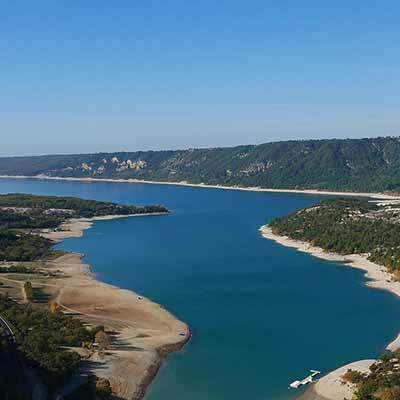 Verdon river pours into Lake of Sainte-Croix leaving the Grand Canyon. 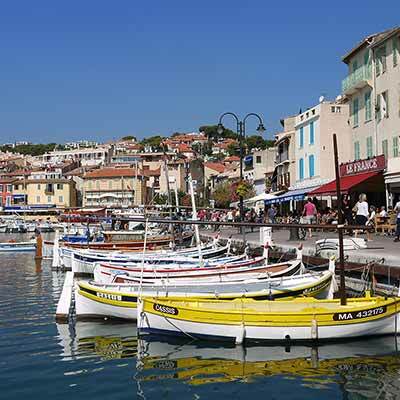 The famous fishing harbour and seaside resort of the Calanques near Marseille. 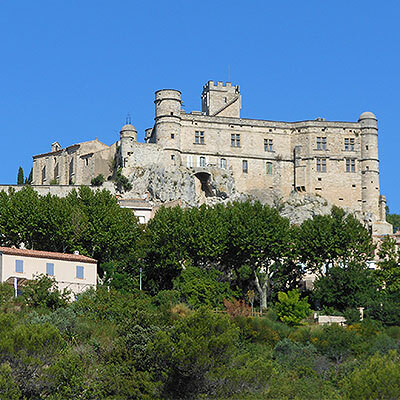 Explore Buis-les-Baronnies in Provençal Drome (north of Provence), a peaceful and pretty village, "french capital of linden"
Grignan is crowned by a magifique Renaissance castle where the Marquise de Sevigne lived. 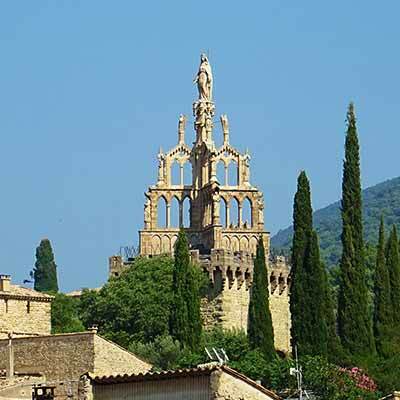 In Provencal Drome, Montbrun-les-Bains is a spa town and one of the most beautiful villages in France.